The Wrangler Belles are a dance/drill team that performs year round at football halftimes, basketball halftimes, parades, special events, and exhibitions. This group is close knit with an emphasis placed on attitude and individual growth. The Belles offer several advantages to students wishing to pursue their college career, as well as become a part of a prestigious dance team. Some of the advantages to being a Wrangler Belle is the scholarships awarded to every team member, low cost education, friendly small campus atmosphere, numerous campus organization, travel opportunities, and Cisco College is easily accessible off I-20 between Fort Worth and Abilene. The 2017-2018 Wrangler Belles from Cisco College are celebrating their 58 years as a precision dance/drill team. Over the years the group has grown to a sophisticated performing dance team with established traditions and new experiences offered each year. The Belles love to perform and have numerous opportunities. If you have any further questions feel free to browse our website or contact Debbie Baker at (254) 442-5140 or e-mail at debbie.baker@cisco.edu. The Wrangler Belle dance studio is located in the Cosmetology Building at the Cisco Campus. The Belles hold rehearsals in this state of the art facility under the direction of Debbie Baker. The Belles perform precision/traditional military, high kick, prop, pom, and novelty type dances during football season. There varied performance opportunities also allow the Belles to create and perform lyrical, modern, jazz, hip-hop, and power-pom style of dances all year long. Showing a passion/respect for dance, the Belles, and fellow team members. A Belle may be relieved of her membership and scholarship if any of these criteria are questioned. Every member of the Wrangler Belles receive a generous scholarship to be a part of this prestigious team. After each and every audition, scholarships are awarded immediately following the audition. Scholarships are based upon academic and dance ability. Officers receive supplements to their scholarships. Book Scholarships are also offered to scholarship recipients until the fund is not available anymore. "Early bird gets the worm!" The earlier a candidate auditions, the more scholarship/book is available. Don't wait until the last minute! All Wrangler Belles are housed in Nance Hall and occupy their own personal hallway specifically designated for the dance team. 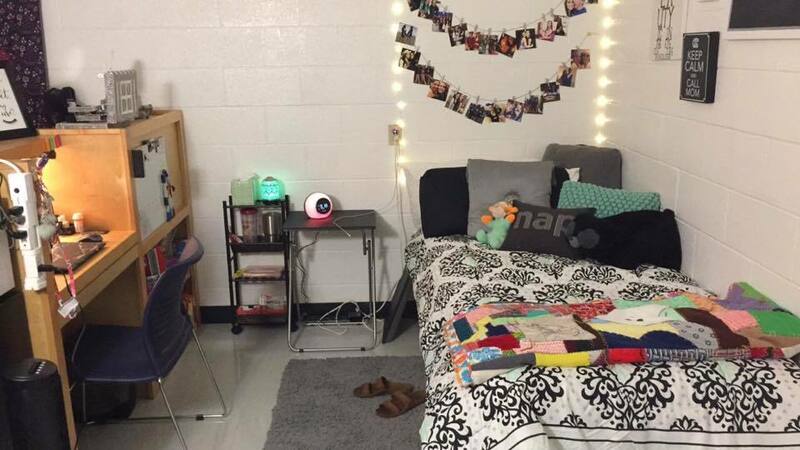 The dorm rooms are set up in suitemate style with a bathroom shared between two rooms. Each Belle will have her own personal closet, desk and a twin bed with extra storage underneath. See our Photo Album page for a view of some of the girls’ rooms. A Wrangler Belle candidate first and foremost must show a passion for dance in her presence and attitude. A Belle should have a teamwork attitude and be willing to make decisions and sacrifices for the betterment of the Wrangler Belle Dance/Drill Team. Our team expects and nourishes a work ethic that a Belle will carry out into the real world after college. Of course the Belles want great dancers, but it is the focus of our team to become better people as we dance and move through this journey of dance and life. We are so excited that you have taken the first step to becoming a Wrangler Belle. Thank you for visiting our audition page and we look forward to meeting you in the near future. Good Luck and never Stop Dancing! At 10:30 A.M. there will be an answer/question session in the library. After the meeting, you will be served lunch. This will give you the opportunity to visit with Belle prospects, director, and veteran Belles. The auditions will begin in the Vo-Tech Building Dance Room. At the end of the audition, scholarships will be awarded. Campus Tours are included with the auditions. You Must Confirm your audition with the Wrangler Belle Director. For more information feel free to contact Debbie Baker at (254) 631-5612 or (254) 442-5140 or email Debbie.Baker@cisco.edu. Individual tryouts may be set or confirmed with the Belle Coach at any time. Wrangler Belle auditions are held each year during the early spring and early summer. We offer three different ways to audition for our team. The first one is a basic one-day audition that is typically called "Senior Day". Senior Days are normally set during the spring semester on a Monday to accommodate candidates that need to travel. At this audition, you will have the opportunity to tour the campus, visit with financial aide, counselors, and participate in a Question/Answer session with the director personally before the audition that normally takes place after lunch. During this particular audition, you will need to bring a dance of your own that high lights your strengths as a dancer. Auditions will be held during summer months in June and July. You will need to bring a dance of your own that highlights your strengths. Tours are available to view our campus, but you must set up your tour in advance with Student Life. Candidate should be prepared to execute technique across the floor and learn a kick sequence. After completing the audition, scholarships will be awarded. Prospects may schedule an individual audition that is convenient for the prospective Belle and Director. Contact Wrangler Belle Director for more information about Individual Auditions. Once again, prospect must bring a dance of their own and be prepared to execute technique and learn a kick sequence. Lastly a candidate may submit a video. This form of audition is discouraged unless you are from out-of-state or you have unusual circumstances. All video submissions must be discussed with the director for approval. What do you need to do for the audition? Be prepared to: Learn a new dance, demonstrate kick ability, splits, leaps, pirouettes, tilt kick, axle, and a variety of technical skills that you may want to demonstrate during the technique session. Interested in joining the Wrangler Belles? Fill out the form below!